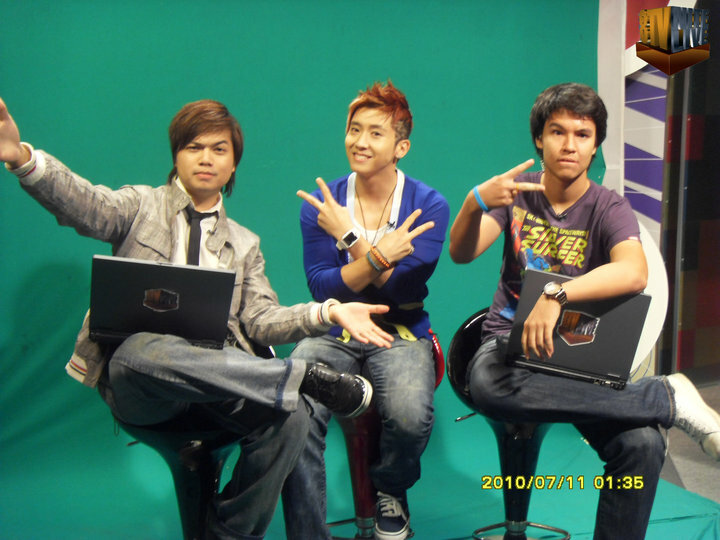 [Exclusive] 8TV Nite Live brings you the hottest Kpop news · K-POPPED! Friends, because you made it hip to be K-popped!, 8TV is bringing you the latest news from Hallyuwood. 8TV Nite Live, which has been on air for a year and a half, is an interactive talk show that focuses on the hottest things/events under the Malaysian sun. The Kpop phenomenon has been detected by 8TV Nite Live’s radar so the program currently offers up-to-date Kpop entertainment news and music videos! Moe Nasrul, one of the hosts of 8TV Nite Live said: “Fans get to vote for which K-pop music video they would like to watch on the program during our K-pop live music polls every Saturday. Moe, who is a fan Wonder Girls, SNSD, Rain and Brian Joo (just to name a few), said that his most memorable stint for the program so far was his interview with Korean-American singer Brian Joo on July 11. “We connected with him before the show, and were just hanging out in the studio,” Moe told K-popped! in an exclusive interview. Apparently, Moe had a lot in common with Brian. Off-screen, the pair traded stories about being the only Asian kid in class while growing up in the States. Kpop would not be given so much prominence in Malaysia without its fans. So we asked Moe what he thought about them. “They are some the most dedicated, wonderful, and fun loving people I have ever encountered,” Moe replied. Catch Moe and his co-host Mike Campton on 8TV Nite Live every Sunday, Monday and Tuesday at 12:45am to 1:45am. Do you watch 8TV Nite Live? Tell us what you like and don’t like about the program! Guided Adventure & Global Chef Wars in Bangkok! Thanks for dropping by :). So you are learning Korean, huh? Where are you taking your classes? All the best for the show…and of course learning Korean. Sarah, how did you record the program and upload it to You Tube? Do you have PVR?